1. Reorganization of membrane-bound organelles during proteostasis stress. 2. Stress compartmentalization without membranes (RNA-protein assemblies). 3. Targeted disruption of human flavoproteome. In 2011, we introduced a new paradigm to explain the toxicity of cellular amyloid. We demonstrated that aggregation results in numerous aberrant protein-protein interactions. Coaggregation of a substantial number of proteins with diverse functions inevitably leads to multifocal deficits and the collapse of the cellular protein network. Recently, we extended this paradigm to include aberrant protein-RNA interactions. Olzscha H., Schermann S.M., Wörner A., Pinkert S., Hecht M.H., Tartaglia G.G., Vendruscolo M., Hayer-Hartl M., Hartl F.U., Vabulas R.M. 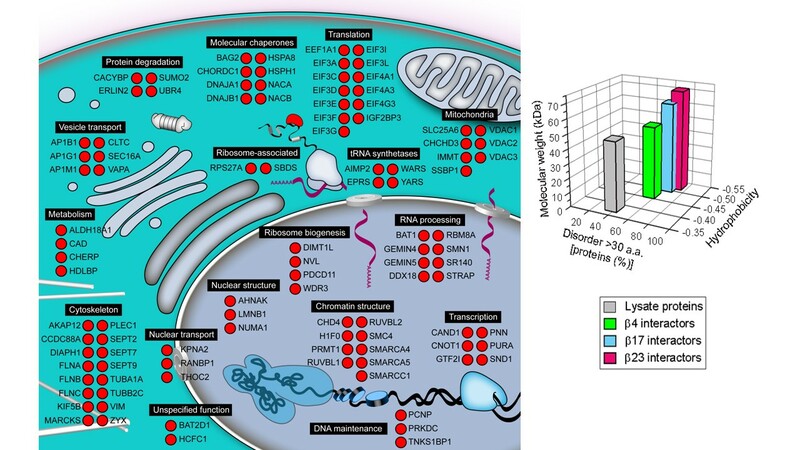 (2011) Amyloid-like Aggregation Targets Metastable Proteins with Essential Functions. Cell. 144(1):67-78. In search of novel therapeutic strategies to prevent (infection, neurodegeneration, aging) or enhance (tumor therapy) this cellular break-down, we have committed to understand the molecular details of the destruction of macromolecular complexes. To this end, we use cell biological, biochemical and biophysical techniques; to identify and access relevant biological material for these investigations we are creating molecular chaperone-BAC-modified transgenic mice strains. 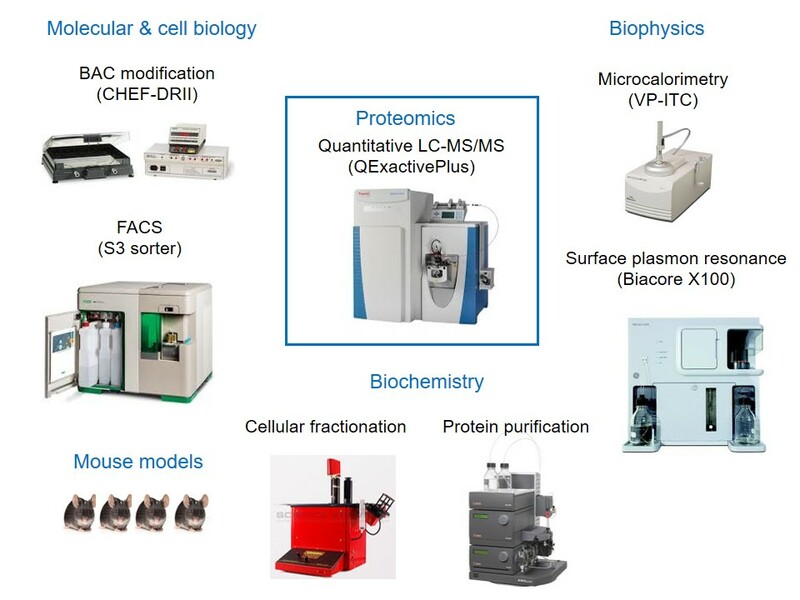 In 2016, we established a mass spectrometry platform at the BMLS Institute and have been in charge of its maintenance and operation.